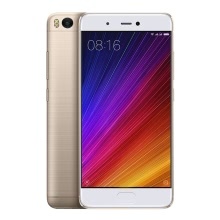 This item features a 5.15" multi-point capacitive touch screen with 1920 * 1080 resolution, dual SIM card and dual standby design, equipped with Qualcomm Snapdragon 821 64-bit Quad Core CPU, 4MP front camera 12MP super light sensitive back camera, 4GB RAM and 128GB ROM, which supports GPS, Light sensor, Gravity sensor, etc. General Design: CNC exquisite workmanship with natural flow body, wear resisting and anti-grease coating, anti-dirt, anti-scratch, anti-fingerprint, smooth and soft touch, which is totally just designed for your hand, everyone will love it. Press Touch Display: 5.15” 1920*1080P 2.5D FHD sunlight display, 600nit, 94.4%NTSC high light transmittance and color saturation, technology of integrating layers of protective glass and touch sensor into one. The latest Sunlight Display, power saving, especially for eyes protection. Qualcomm Snapdragon 821 CPU: Latest Qualcomm Snapdragon 821 64-bit Quad Core 2.15Ghz, 4GB+128GB high efficiency of data processing, which supports numerous convenient and funny APPs. Super Light Sensitive Camera: Back professional 12MP camera with f/2.0 aperture; Selfies look amazing with a 4MP front camera and Beautify Tech, a gorgeous built-in tool that applies one of 36 smart profiles for an all-natural glow. Lightning-fast 4G-LTE Network: FDD-LTE, TDD-LTE, TD-SCDMA, WCDMA, GSM, nearly full global coverage. Ultrasonic Fingerprint Unlock Technology: Light press to unlock phone and keep privacy. Battery: 3200mAh longtime talk and standby, double-side Type C port, Quick Charge 3.0. Others: NFC, Bluetooth 4.2, Dual-frequency WiFi, GPS, G-sensor, L-sensor, D-sensor, Gyroscope, Hall-sensor, E-compass, etc. Xiaomi MIUI OS can&apos;t be updated.